Sherlock is already chock-full of references to the Doyle canon (I do a series on my blog called The More You Holmes which points these out): from basing entire episodes mainly on one of the stories (A Scandal in Belgravia, The Hounds of Baskerville), to multiple rapid-fire references in passing (the series of case titles at the beginning of Scandal all are plays on Doyle stories). Mofftiss themselves have admitted they’ve covered the mainstays of the stories with The Woman, The Hound, and The Professor. But now that they’ve also covered The Sign of Four as well as A Study in Scarlet, and have provided us with the second biggest baddie in Doyle (Charles Augustus Magnusson, Milverton in Doyle) in Series Three, what could Series Four bring us? Here’s what I think. Actually something combining this one with The Disappearance of Lady Frances Carfax could make for an extremely creepy story about kidnapping and extortion. Also they could take a lesson from the Granada series, which ended their Greek Interpreter with a tense train chase, instead of the disappointing anti-climax of the original. 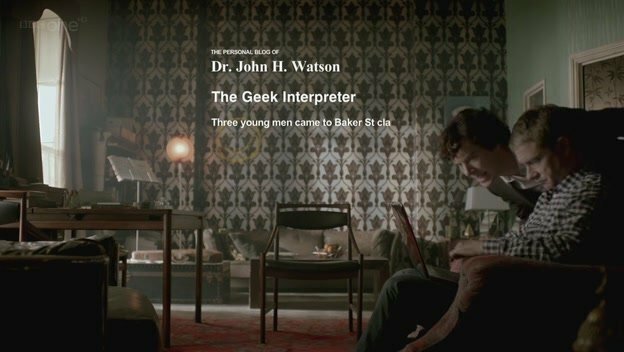 On a nerdy note, since Greek Interpreter is the first Doyle story in which we discover Holmes has family (and subsequently meet his brother, Mycroft), we could maybe discover and meet the mysterious third Holmes brother mentioned in His Last Vow. Except with cars. Extreme-luxury race cars. It could maybe even have cameos from the Top Gear guys. You can pay me for that idea, Mofftiss… Well, yes of course you could do Silver Blaze with thoroughbred racehorses and it would still be legit in a modern setting (Elementary did this, in fact), but y’know what I mean about the cars instead? The change in paint/detailing to disguise it? Maybe Straker (like in the original story) tries to sabotage the Silver Blaze car somehow, or maybe he adds a dangerous enhancement to the vehicle, which then when he test-drives it, kills him? Now hear me out on this one… Yes, the story of a young lady hired on for way too much money as a governess to impersonate an oppressed daughter may feel a trifle dated, but it could work well with a nanny hired on and asked to read in windows, etc? Having a starved mastiff as a threat might not work so well, but there’s something about a live-in nanny being trapped in a country home with Rucastle as a major mystery/threat that is compelling, and has potential, methinks. 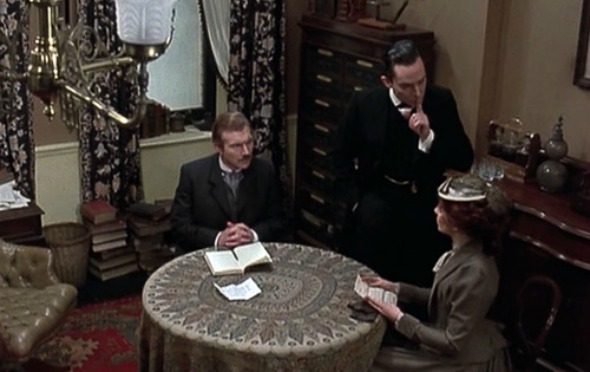 Maybe have a side-plot where the horrible bratty kid wounds the infant child and frames the nanny (like in The Sussex Vampire) – there would be all kinds of yucky domestic intrigue for Sherlock to unravel. This one just begs to be filmed, doesn’t it? Who doesn’t want to see hapless pawnbroker Jabez Wilson struggling through a sea of red-heads, all wanting to get paid for mysterious “nominal” work? I could see a Twitter campaign or even a geo-caching contest sort of thing as the Red-Headed League scam for a modern adaptation. Actually the Granada series did a great job with this story, changing it to make Moriarty behind it all, but in a modern setting the villains couldn’t be digging a tunnel into a bank vault, could they? Heck, it wasn’t realistic back in the 1800s either, so why not? 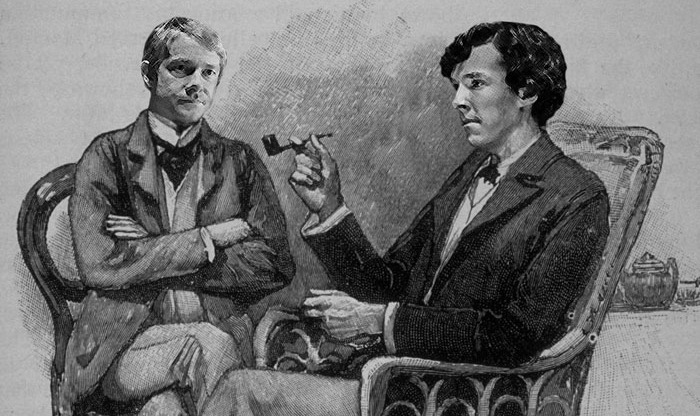 This one has been bandied about by Sherlock fans already, as soon as we all heard there would be a Christmas special. This story is the only Christmas-themed adventure in all of the canon, and it would just make sense to include at least aspects of it in a Christmas special, right? Of course, they’ve already used one of the funniest scenes from this story: in Hound, the fake bet Sherlock uses to bait Fletcher into giving him info is just like the one Holmes uses on the goose seller in Blue Carbuncle. 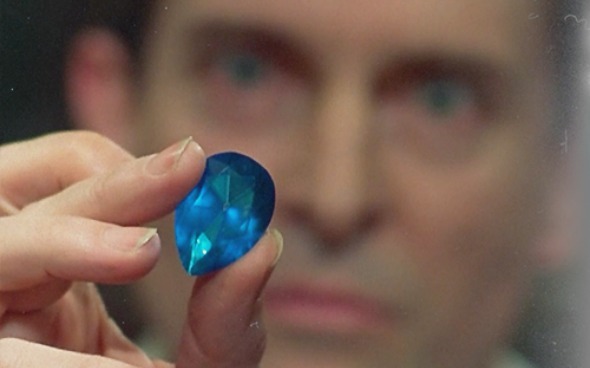 Still, a mystery about a jewel found inside someone’s Christmas dinner remains intriguing enough to work as the backbone of a Sherlock episode. 1 He was interested in the murder trial of The Blue Eyed Six which may explain the red haired characters. 2 He befriended a local doctor and his wife ,and if you visit the local Historical Society, the doctor has red hair in in Portrait. “Valley of Fear”, if for no other reason, the cast would have to come to the US. Maybe this could be put into a Silicon Valley context. I’ve been toying with a script idea that uses The Red-Headed League. Only this one is The Red-Hatted League!